ENCOURAGING SAFE DRIVING, THE RIGHT TO LIFE IS THE MOST BASIC HUMAN RIGHT. American Human Rights Council > Updates & Releases > Uncategorized > ENCOURAGING SAFE DRIVING, THE RIGHT TO LIFE IS THE MOST BASIC HUMAN RIGHT. On Monday, June 1 , 2015 at 11:00 a.m, the Dearborn Police Department will be hosting a “Youth Drivers/Summertime Traffic Issues” forum encouraging Safe Driving. 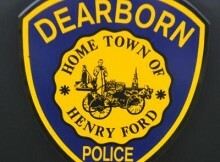 The event will be held at the Dearborn Police Station located at 16099 Michigan Ave. According to a DPD release issued on May 19, 2015, Motor vehicle crashes are the leading cause of death among American teenagers, killing between 5,000 and 6,000 children and young adults every year among them 23 percent are drivers under 21 years of age. Representatives from Mothers Against Drunk driving, AAA Michigan, Ford Motor Company’s “Driving Skills For Life” local high schools representatives and other invited including the AHRC . AHRC commends the DPD, its leadership, and its partners on this laudable effort. The right to life is the most important human right and all efforts to save lives advance human rights of all. Nothing is more valuable and more precious than the lives of our youths. Saving human lives through education and awareness is key to avoid possible tragedies. For more information, contact: 313-943-2275. “The right to life is the most important human right. The effort of DPD and its partners is greatly appreciated” said Imad Hamad, Executive Director.